Fresh, daring and sportive. It is thanks to its unique and audacious mind, creating bold yet delicately crafted pieces, that Rick De La Croix’s BOMBERG has emerged into the watchmaking industry as a truly innovative and unconventional brand over the past few years. Two new special pieces have been added to BOMBERG’s unique BOLT-68 Quartz Chroma II Collection. 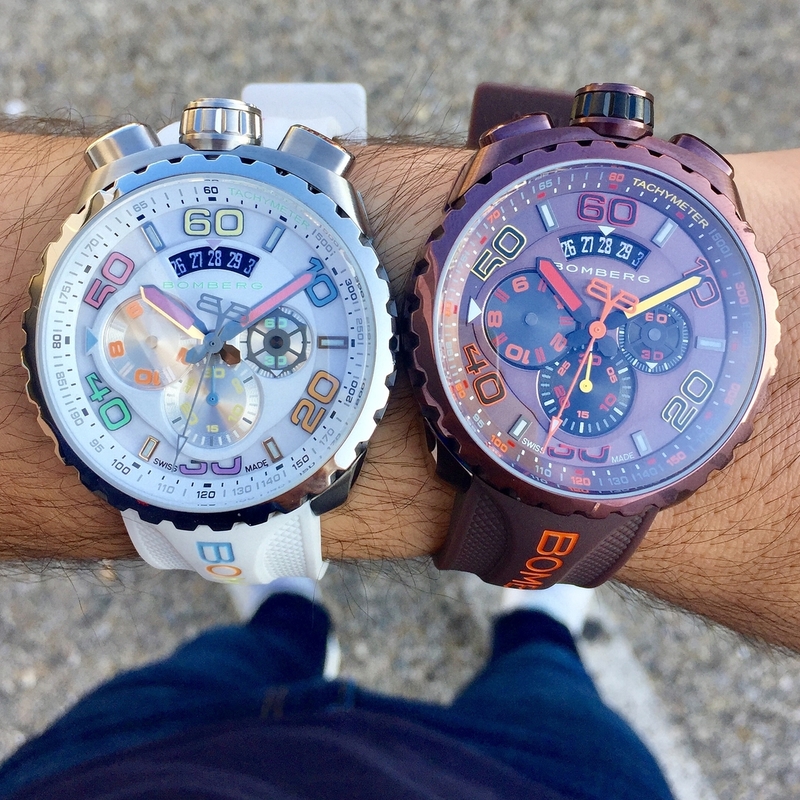 Staying in line with the look of the range, these watches stand out by their punch of bright and vivid colors as well as their original design, true to BOMBERG’s style. Always with the same attention given to details and thirst for innovation, these new pieces include the unique bayonet system, developed and patented by Rick De La Croix’s BOMBERG, that allows the wristwatch to turn into an exclusive pocket watch. The new looks have distinctive identities, both playful yet elegant and their adjustable qualities makes them as functional as they are fashionable.